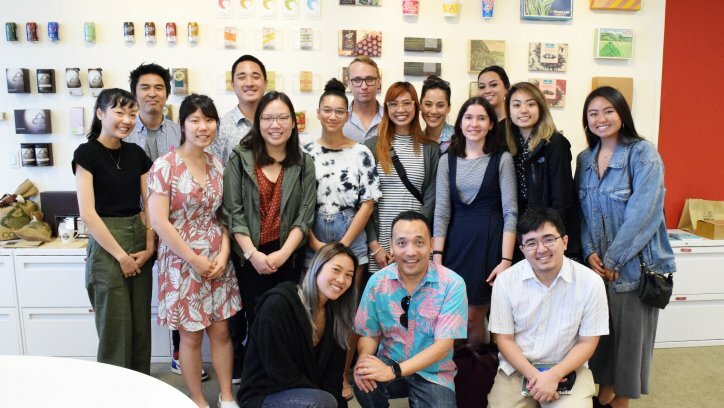 On March 27th, 2019, Professor Lee and his students from the University of Hawaii’s graphic design program came to tour our studio. 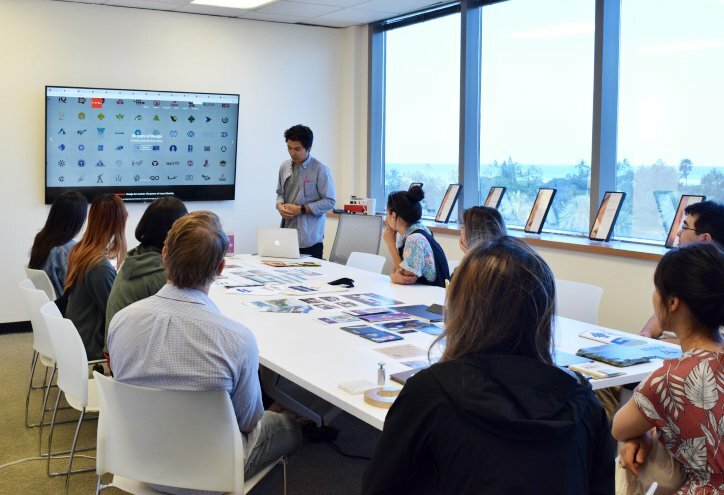 Hoping to inspire the future designers of Hawaii, our Vice President Laron Miyashiro gave an introduction to our company and showed some examples of our design work. Our company’s slogan is “Solutions! Design for success. 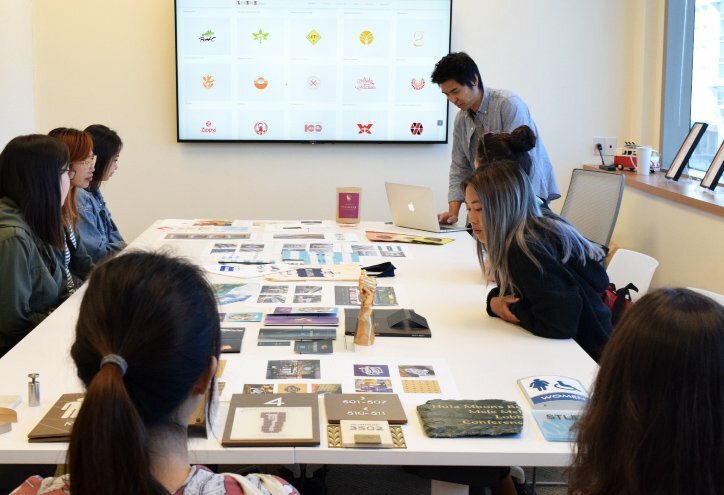 The power of visual identity.” In other words, it is our mission to bring success to our client’s businesses through the power of design. 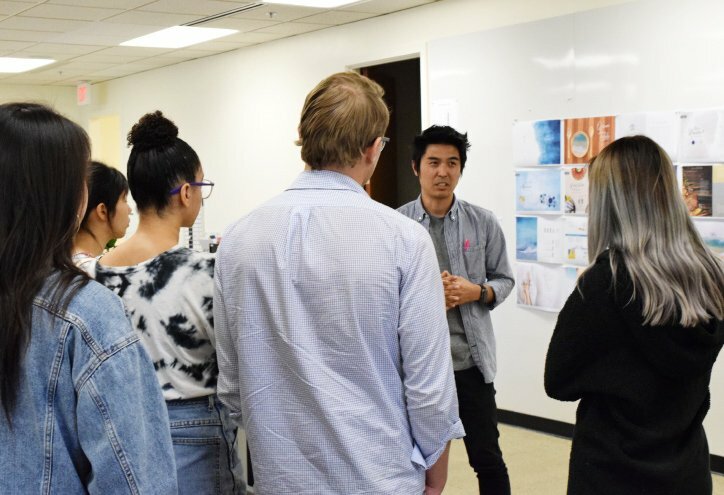 We plan out and produce any type of design that is necessary for the client’s business, from logos to advertisements, printed materials, product packages, web/digital media, spatial graphics, signage, and etc. In the future, we hope that we can contribute more to local communities in Hawaii through education.